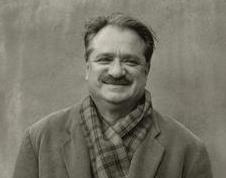 John Balaban, a prolific poet, fiction writer & poetry translator (target language : English) has authored several books of poetry and prose, including four volumes which won The Academy of American Poets' Lamont prize, a National Poetry Series Selection, & two nominations for the National Book Award. His Locusts at the Edge of Summer: New and Selected Poems won the 1998 William Carlos Williams Award from the Poetry Society of America. He was awarded a John Simon Guggenheim Fellowship . He is also a past president of the American Literary Translators Association. Balaban is Poet-in-Residence and Professor of English in the creative writing program at North Carolina State University in Raleigh. The present interview was conducted in Autumn, 2009 primarily for Kabisammelan, the most widely circulated poetry monthly in Bengali language. Ankur: From what we know, it seems you had a difficult beginning...do you want to reflect on that? Balaban: . I was born in Philadelphia, to parents who had emigrated from Romania. My father was something of a boy-genius in his farming village, teaching himself calculus, making a model airplane that actually flew (this was not long after the Wright brothers flew the first real airplane) and--for which he is still remembered in that little village--inventing at the age of 14 a die stamp for counterfeiting coins. In the nationalism of the pre-WWII period, he was plucked from the village and given a university education in engineering. His own father was shepherd. My mother also came from a peasant family. She had almost no education. Ankur: and how did the arrival to the world of poetry happen? Balaban: There were almost no books in our house. I think I picked up a version of poetry from the popular, romantic songs my older sisters used to sing while washing the dishes after dinner. You know: show tunes. Annie Get Your Gun. South Pacific. The Student Prince. Stuff like that. And, yes, I remember my first poem. I had composed something about the moon, which I addressed in a personal manner. With a great sense of moment, I sang it to my sisters and they smiled and said it was very nice. I was eight or nine years old. I did not have much of a high school. I was so bored I played hookey a lot in my senior year. But I should add that I had some great teachers who looked after me. When I ran away from home at 16, the art teacher and her husband took me into to their home so I could finish high school and others gave me odd jobs like laying cinderblock or trimming trees or, once, alphabetizing a book and a record collection, which I think was just an excuse to get those books and music into my hands. Ankur: Your poetry seems to be full of references and allusions to European classics. Does that come from your education, training? personal orientation? How did your poetic-self evolve? Ankur: How did your long relation with Vietnam get started? Did you get drafted for the war? Balaban: No, I wasn't drafted. I could have just stayed in graduate school, but I was opposed to the war but not to the idea that individuals should serve their country, even if in an opposing way. So I left Harvard where I was on a full fellowship and volunteered to go to Vietnam as a civilian conscientious objector...a term which may have no correspondence to your readers. Anyway, through a kind of Peace Corps agency I first taught descriptive linguistics at a Vietnamese university in the Mekong Delta and when it was bombed and I was wounded, I came home for medical treatment and, two months later, went back, this time for an anti-war group of doctors who treated war-injured children from that war. Balaban: It’s not as obscure or scholarly as it sounds—just the phonemic symbol system for representing English closely—sound phonemes, morphemes, intonational patterns, juncture. I taught in English and in Hue, the old capital, I had wonderful students before the war’s encroachment ended my teaching there. They knew Chinese, Latin, English, French, some Italian, and some Portuguese. I gave them an assignment once to take 500 words of the oral folk poetry and 500 words of any newspaper and count the number of Chinese loan words. The native folk poetry that is part of the cultural heritage of the countryside had almost no Chinese borrowings; the newspapers had percentages of borrowings around 40-45%. That told us a lot about acculturation in the cities and among the literate and, correspondingly about the Vietnamese-ness, if you will, of the traditional culture in the countryside, where 90% of the population remains. I had wonderful students, bright and hard-working. I often wonder what became of them in that war. Ankur: When did you visit Vietnam first? What did you see? How did your search for Vietnamese Folk Songs (Ca Dao) started? During the Vietnam War, I volunteered as a civilian conscientious objector and worked as the field representative for a private agency that treated the most severely wounded children. The children that we brought to major U.S. teaching hospitals were riddled by bullets, slashed by cluster bomb flechettes, blinded and deafened by tossed grenades, had their lips and jaws shot away, their spines severed. Others had their limbs blown off, including one 12-year old boy left with only an arm after a road mine blast. Another boy had his chin glued to his chest by napalm. One girl had her eyelids burned off by a white phosphorus artillery shell. One gun-shot toddler survived the massacre of her family in a ditch because she was protected by their bodies. I could go on. And, indeed, the memory of such suffering would have been my sole, unadulterated sense of Vietnam hadn’t my job often taken me into the countryside to explain to parents what we could possibly do for their children at hospitals in the United States. Oddly, that work afforded me a glimpse of another, more enduring Vietnam. Improbable as it might seem, this glimpse came on snatches of poetry and song that led me into a realm of beauty and wisdom beyond the mayhem of the war. Balaban: At first, I had no clue on what I was hearing. I would be standing on a river bank way out in the war zone as a little skiff motored by and I would hear a bit of song float past me, sometimes without ever even seeing the singer’s face under the conical leaf hat from where the song drifted up to disappear in the stutter of the boat’s two-cycle engine and in the wave wash on the muddy bank at my feet. After my "alternative service" as it was called, and I was back home, I realized I had been listening in on a 2000-year old oral poetic tradition. I applied to the U.S. National Endowment for the Humanities for a grant and returned to Vietnam while the war was very much going on and traveled the countryside, alone, with a tape-recorder collecting those sung poems on tape. Over the course of 9 months, I recorded about 500 poems and began translating them. Now, as I get closer to retirement, I find it hard to believe that I thought I could do those things and get away with it. In early dynasties, emperors used to send out officials to record the poetry of the common people because, like the poem-songs recorded in the Shih Ching, the folk songs were believed to be the truest indicators of popular feeling. Crossing mountains and rivers, these imperial emissaries would scout even the distant provinces and the vassal states. Finally they would return to court with the poetry they had gathered. My small book is such a sampling, a guide to a world of Taoist sages, parted lovers, melon gardens, concubines, exiled kings, wheeling egrets, rice paddies, bamboo bridges, shimmering moons, and fishtraps. "Go out one day," the proverb says, "and come back with a basketful of wisdom.". Balaban: Well, those encounters with students, but also traveling alone with my tape-recorder in the countryside, collecting those oral folk poems. The war was still going on. I was scared out of my wits at being kidnapped or being caught in a crossfire or simply being robbed and killed. But nothing like that happened. Instead, I was greeted by peasants who were pleased by the idea of a young American interested in their folk poetry. And for me, traveling in that exquisite landscape was always wonderful. Ankur: When did you first learn about Ho Xuan Huong? What was your first reaction? Over ten years ago, John Balaban confided in me that he was going to translate the poetry of Ho Xuan Huong, the most respected, controversial, and difficult poetess of all time. I encouraged him, but knowing the impossibility of his task, I also offered a prayer to the Buddha of Compassion, for the character for "poetry" is made of components meaning "word" and "temple." I expected him to give up after months of sleepless nights. The fact that he has finished the project is in itself a victory. The fact that his translations are true to the genius of this powerful woman is a triumph. Ankur: When I first read Ho's poems, I was amazed by her "Audacity"? Here is a contemporary of Keats, Shelley and Pushkin in Indochina writing great poetry without a worry in the world. Where does that kind of chutzpah come from? Balaban: Actually, she had many worries. Her kind of "audacity" was punishable by the sword. Her husband was beheaded on the Nguyen Emperor's orders, as we know from court records. She was on the losing end of a civil war because of her sympathies for the Tay Son rebels. Their leader, who became Emperor for a mere 14 years, was her cousin. She had more than just a sharp and clever tongue. She had bravery, a sense of justice, and a Mahayana, Pure Land Buddhist's compassion. Ankur: What was the reason of your using the translation of her name into English - "Spring Essence" - to name the collection?. Balaban: Her given names are Xuan which means "Spring," and Huong, which means "fragrance" or "scent" or more simply "perfume." So I chose "essence" which means simply "perfume" but of course has other associated meanings. First of all there are many examples of her hiding her name in her poetry--including "Spring" and "Essence" and also "Moon," as in "old moon" which is the meaning of the two Chinese characters in her family name, Ho, so it seemed to me that she was inserting her spiritual self (another meaning of essence) into her poems in a punning way. "Essence" means in the West the very nature of someone or something and comes from the Latin verb "to be," esse from which we ultimately get "essentia," or "essential". Ankur: Have you been interested in modern Vietnamese poetry? Who are the leading poets in Vietnam? What about Vietnamese-American poets? Balaban: I have only a slight knowledge of contemporary Vietnamese poetry in Vietnam or in the U.S. My interest has always been in the contemporary singers of the folk poetry in Vietnam and in the old literary poetry of the classical tradition. But here in the U.S., I've enjoyed the work of Barbara Tran and Lam Thi My Da. Ankur: What are your present projects? What themes or genres interest you the most? Balaban: A translation of the 3254-line Vietnamese narrative poem, called The Tale of Kieu, a novel set in Romania, and a new book of my own poetry called Southwest. I am also the President of The Vietnamese Nom Preservation Foundation. We are nonprofit foundation of volunteers who have digitized and encoded the ancient Nom script for the first time and, for the first time in human history, printed it in True Type Fonts. At the moment we are engaged in a 3-year project to create a digital library of all ancient script texts at the National Library of Vietnam. This last December, 2008, the Ministry of Culture presented me with a medal for our work in preserving ancient writing and for my work in translation. Balaban: It is the great classical poem of the native language and the old script called Nom, which follows an ideogrammatic system, like Chinese. It was written around 1800 by one of the major figures of the early 19th century, the poet and diplomat Nguyen Du. His poem is really a novel-in-verse of over 3000 lines in the couplet form of the folk poetry that I described earlier. Its hero, or heroine, is the temptuous, beautiful, talented Thuy-Kieu whose “cruel fate” forces her to test herself against her Confucian and Buddhist obligations and come to terms with her better, spiritual self. The poetry is dazzling. It is said that unlettered peasants can recite it by heart. Ankur: You have a history of anti-war activism. Any thoughts on that? Balaban: I am opposed to governments raising armies to kill other peoples. But for me, as for Wilfred Owen, the "pity is in the poetry," i.e. not in simple righteous declaration. I think poets have limited utility as political activists. On the other hand, for poets as for any other citizen, as Sir Philip Sydney said, "virtuous knowledge results in human action." Ankur: Any comment on the reading of poetry at the Obama inauguration? Balaban: I hoped Elizabeth Alexander would be great because I want poetry to be part of our public lives. Then Obama gave his speech and I pitied any poet who would have to follow him and his extra-ordinary and moving eloquence. Ankur: You are a Poet-in-Residence at North Carolina State University. Could you tell us about your teaching? Balaban: We offer a Master of Fine Arts in Creative Writing, meaning here, fiction and poetry. This is now a quite common graduate degree in the U.S. I teach courses in poetic craft, in literary style, in the literature of poetry, as well as workshops where we sit around the table twice a week and talk about how each student's poems are working or not. One watches writers of all ages and backgrounds attend to the better angels of their natures (to quote Obama quoting Lincoln) and that is satisfying. Some of my students go on to publish their own poems in good journals and, now and then, they have their own books and are successful like the Kashmiri poet Shahid Agha Ali, who was my first such student. MFA's uphold literary tradition, even as we sometimes attack tradition. MFA's have become a last bastion of "literature," as English department across the U.S. seem to turn away from the teaching of literary works in favor of "theory" or ethnology, or academic Marxist sociological interpretations. MFA faculty are like Knights Templar and we may or may not have located the Holy Grail. At any rate, as a graduate degree, we keep the torch lit. Ankur:Very interesting! Could you say more about Agha Shahid Ali? His work and your interaction with him? He wrote a very nostalgic, melancholy poetry and I loved his work on Faiz and also on Ghazals. What do you think of that? Balaban: Shahid was the first graduate student whose thesis I directed; it became his first book called The Half-Inch Himalayas. So I am proud of him and what he went on to do as a poet and I was shocked that both he and his mother died of the same brain tumor. So strange. He was so generously good-natured and funny. He is missed by many American poets and I think one university now offers a prize in his name. Shahid asked me to write a ghazal for a book of ghazals by American poets that he edited. I remember his description of huge audiences responding en masse with the second line when Begum Akhtar read—at least I think it was her. It was because of Shahid that I read Faiz Ahmed Faiz.